Here are five fast facts to help you make the best and appropriate choices to improve your health. The experts can’t fix everything. The healthcare system (drugs, providers, and hospitals) affects only about 10-20% of our health. The remaining 80% or more of health outcomes is determined by factors over which healthcare providers have little or no control, such as lifestyle choices, social conditions, and the physical environment. In other words, it’s about what you eat and how you deal with stress. It’s about choosing to be physically active. Take steps to enhance your own wellbeing and you’ll be healthier than if you rely entirely on the healthcare system. Your pockets just aren’t that deep. No one’s are! Read the headlines: The cost of healthcare and health insurance is rising rapidly. You have probably seen your premiums and out-of-pocket expenses for clinic visits and prescriptions climbing. Some of the increases are due to choices. Lifestyle-related diseases, such as Type II diabetes caused by obesity, are increasing and driving up costs. The leading causes of disease and death in the United States are due to our behaviors: tobacco use, poor diet, physical inactivity, and alcohol abuse. As healthcare costs skyrocket, the ability of many people to obtain healthcare is compromised. Approximately 43 million Americans don't have any health insurance at all. It doesn’t help anyone to argue about who is driving up healthcare costs, and what they should do about it. By taking charge of your own health, you can help reduce healthcare costs. The healthcare system isn’t perfect. 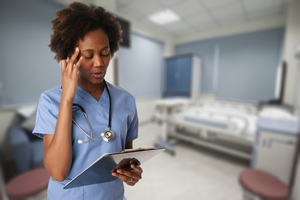 Medical errors can have severe consequences, so you want to do what you can to minimize mistakes. For example, if you switch providers, you need to make sure that your new doctor or nurse practitioner has all your health records and the information they need to provide safe and effective care. If you or someone you love goes into hospital, you need to pay attention—are you receiving the correct medication? Have you verified that the correct procedure will be performed before you undergo anesthesia? Are caregivers washing their hands and wearing their gloves? In addition, health insurance can be complicated, so it is essential to be find out what is covered before you visit a clinic or hospital to avoid unexpected bills. Are you pleased with your healthcare? Many Americans aren’t. They don't feel listened to. They feel rushed. No one offers them a chance to ask questions. This is not surprising given that doctor visits are often less than 15 minutes. However, healthcare is something you pay for. Face it: would you keep patronizing a mechanic or hairdresser or restaurant if you weren’t happy with the service? Of course healthcare is not exactly the same as these services. But it’s okay to want to ask questions, express doubt, and really communicate with your healthcare provider. Taking charge of your healthcare will reduce dissatisfaction. For example, finding good health information can empower you to make better decisions. And if you deliberately choose a provider you trust and take pains to communicate effectively, you will likely experience many benefits. You need to explore all your options. While our current system excels at treating acute infectious disease and responding to trauma, it is not always as effective in providing preventive healthcare or helping people deal with chronic disease. Integrative therapies often excel in these areas, as research shows. Therapies and practices such as guided imagery, biofeedback, or meditation can help reduce the negative impact of stress. Massage can help people relax. Acupuncture is recognized by the National Institutes of Health as effective for postoperative and chemotherapy-induced nausea and vomiting and chronic pain. You are the one who can make the biggest impact on your own health. To maintain or improve your health, you not only need to make good lifestyle choices--you need to get the best healthcare you can. So think about what you want in your healthcare and go for it. Become intentional, informed, and involved. You will undoubtedly see some personal health benefits. You will also be doing your part to make a better healthcare system for everyone. Thinking about making a lifestyle change, such as exercising more, watching your nutrition, or managing your stress? Our online tool helps you set goals, determine your readiness for change, recognize obstacles (and solutions), and identify manageable steps to take. John Knowles. Doing Better and Feeling Worse. W.W. Norton & Company: New York. 1977. National Center for Health Statistics. Fact Sheet: Actual Causes of Death in the United States, 2000. National Coalition on Health Care. US Health Cost Growth.